Quality Vision International (QVI®) is the world's largest vision metrology company. The company designs and builds a complete line of dimensional measuring machines that combine optical, laser, and contact sensors into easy to use systems. QVI systems are used by manufacturers in over 75 countries around the world to measure and inspect their products for quality and process control. QVI's seven divisions: Optical Gaging Products (OGP), RAM Optical Instrumentation (RAM), Certified Comparator Products (CCP), VIEW Micro-Metrology (VIEW), Kotem Software, Shapegrabber 3D Laser Scanner, Itaca FlexGaugeTM CMM are each leaders in their respective markets. As the first brand of QVI, OGP SmartScope® systems are in use worldwide, fitting a range of categories: multisensor metrology, optical inspection, video measurement, laser scanning, contour projector, and more, all with micro-level resolution and accuracy. 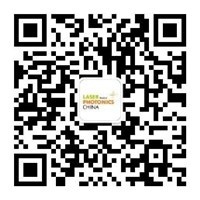 A subsidiary of Quality Vision International Inc., OGP (Shanghai) Co., Ltd was founded in March 2003, aiming to provide unsurpassed sales, servicing and application support to our valuable customers in China marketplace.